LISTEN TO MY FULL CONVERSATION WITH RUTH MOODY OF THE WAILIN' JENNYS ABOUT TOM PETTY. And they're not alone in thinking that. A few weeks earlier folk rock icon Chris Hillman, formerly of The Byrds and the Desert Rose Band, released the solo album Bidin’ My Time, which he made in Petty’s studio with Petty producing. Its album-closing take on “Wildflowers" moves a bit faster, more optimistic than melancholy. Austin American-Statesman music writer Peter Blackstock calls the cut "pretty much perfect," writing that "I think Hillman's version will rise to the level of an American classic in the years to come." Those versions were conceived before there was any inkling we’d lose Petty, at age 66. Since his death, the song seems to be everywhere as a kind of healing anthem and homage to a musical hero who transcends genre. New Orleans band The Revivalists were one of several artists that played “Wildflowers” during the recent Austin City Limits Festival, according to Blackstock. The folk duos Zoe & Cloyd and the Honey Dewdrops encored with the song at a show in Black Mountain, NC in recent days. The a cappella band Street Corner Symphony released a video of their version in the week after Petty died. And Americana fans will even be able to enjoy guilt-free Miley Cyrus’s acoustic guitar with fiddle take, released via Spotify Studios. "Wildflowers" became the title track of Petty’s tenth album, made in 1993-1994 with producer Rick Rubin, then famous for his work with The Beastie Boys and RUN-D.M.C. but who was at the time beginning a journey toward Americana guru status with his first album with Johnny Cash, American Recordings. The album wasn't as universally hailed as it is today. Robert Christgau called it “torpid.” It did fairly well commercially yet it cracked neither the top five albums nor the top ten with a single, despite a hot run at radio with Petty's prior full lengths. With time though, Wildflowers has emerged for many in roots and Americana music as the most important and beloved in his catalog. Chris Stapleton told WXNA’s Tim Hibbs recently that Wildflowers influenced him as a songwriter more than any other album. 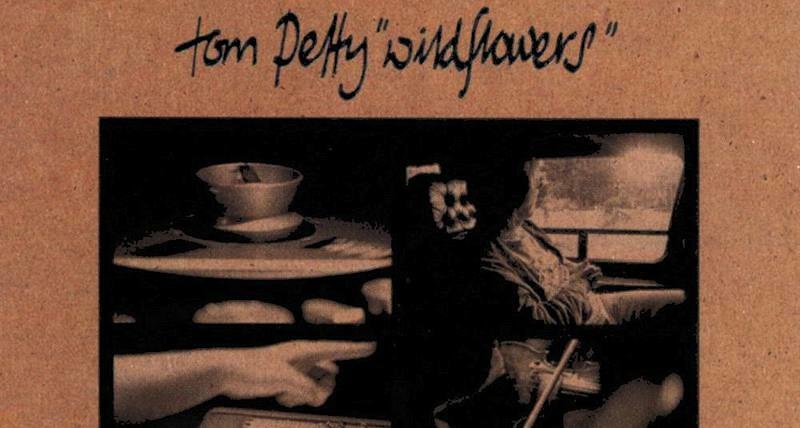 Petty’s original arrangement was built around acoustic guitar and the piano of Benmont Tench, but Americana artists have revealed the folky heart of “Wildflowers” with fiddle and mandolin. A dulcimer or auto-harp wouldn’t sound out of place. Bolstering the old-timey Carter Family sway of the song’s verses is an instrumental bridge that lets a band make a lilting little turnabout. But what makes it transcendent of time and genre is its message. Petty was enduring a divorce about this time so informed speculation is that the lyrics - "go away somewhere all bright and new" - are a graceful letting go of someone he loved. That is of course how nearly ever American musician who writes relatable, rootsy songs feels about Petty. Ruth Moody again: "There are little snippets that just sort of fit with sending him off - Sail away, you belong among the wildflowers - I can see how people who love Tom Petty would want to sing that for him, you know?" And here's Tom Petty's original studio version with lyrics.